Leading a field sales team comes with unique challenges. When your team is working from any number of different places, suddenly you’re not just managing sales performance strategy, but also time zone differences and communication logistics, all while trying to keep your team motivated, engaged and hitting their numbers. 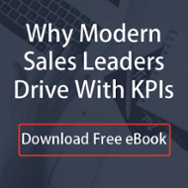 If there’s one keystone for a successful field sales team, it’s strong communication. When you communicate effectively it strengthens every other area of your sales team because people work more closely and stay informed and engaged. As you’ll see, several of these tips relate to communication and for good reason. 2. Set consistent, high-value team meetings. Establish a consistent, weekly team meeting that will serve as an important team touch point for the week. And don’t just make it a run-of-the-mill sales meeting. Encourage a collaborative environment that has team members leading relevant conversations, providing feedback and solving for challenges. This may be your only opportunity to interact as a group for the week, so make fueling motivation a priority, too. Another idea is to set regular sales training sessions. Training vigorously as a team on a regular basis will ensure you and the team have the confidence to perform at a high level. And since you’re not sharing an office together, it provides an opportunity to unify messaging specifics and work through selling scenarios as a group. 3. Use technology to fill the gaps. Organize a shared Google Drive folder for resources. Make sure there’s easy access to resources in a centralized location. The last thing you want is for your team to suddenly need a resource and not know how to find it. Try Slack for internal communications. On the surface Slack seems like a regular messaging app, but it really brings some new value to the game. You can use it on all of your devices, which keeps everyone connected regardless of where you are or what you’re doing. You can also create dedicated groups, where team members can communicate and collaborate openly about issues, challenges, questions, etc. You can share documents and files with Slack, which are searchable so you can find them later, too. This comes in handy, if say, you’ve ever attempted to send a large PowerPoint deck to a colleague via email. Slack takes the pain out of communication like this. Have video meetings using Skype or Google Hangouts. A big reason field sales teams can feel impersonal is you rarely get to see the people you’re working with. Change that by having video meetings instead of conference calls whenever possible. If you use Gmail, Google Hangouts can be fast and convenient, but Skype is also a great option. Both are easy to use and can help make your meetings more personable. 4. Build a performance-driven culture. When you’re in an office, it’s easy to feed off the energy of others around you. You can hear the phones ringing, see the leaderboard updates and thrive in an environment of healthy competition. Depending on how your teams are set up, if they’re remote, you may not always have this kind of atmosphere luxury, but you can still establish a performance-driven culture. 5. Encourage healthy team habits. Quarterly kickoff/previous quarter celebratory meeting (home office or various locations): Getting the team together to celebrate success and create enthusiasm around an upcoming or past quarter can add excitement and allow for personal connections and trust to develop. Promote Health: Working on a field sales team can make for very long days and difficult schedules, especially when you travel. Encourage your team to take time to relax and exercise regularly, and that way they won’t feel pressure to wear themselves down day after day. Heck, once you work through some of these challenges, leading field sales teams really isn’t too different. And by effectively prioritizing your team’s values and making the best of some great technology, your entire team will be well on its way to dominance. Remote sales environments come with their own set of challenges. These 5 tips for leading remote sales teams will help you overcome them.